More multi fuel stoves areas? 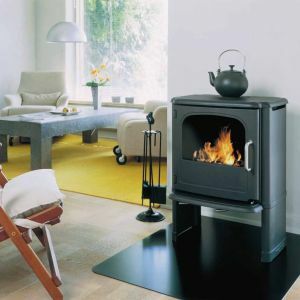 At the Leeds Stove Centre we cover the whole of West Yorkshire and offer new and existing customers top quality wood burning and multi fuel stoves. Our West Yorkshire Stoves includes a large choice of top quality, experienced stove manufacturers including Yeoman, Hunter, Esse, Dik Guerts, Eurostove, Stovax, Burley and more! We are the leading stove supplier in West Yorkshire, offering a huge choice of designs, colours and accessories, your certain to find your perfect stove at The Leeds Stove Centre! The Leeds Stove Centre also has a multi-floor showroom located in Pudsey, Leeds. This has recently been refurbished and we now have a large number of both live and non-working displays where you can get a good idea of how a new multi fuel stove will look and feel within your own home. You will also be able to see how a stove would look in various settings, ie freestanding or in a chamber. Furthermore, we cover a huge range of post codes for installation of our multi-fuel stoves. For more information visit our installation service webpage. More Multi Fuel Stoves? You can contact us on 0113 255 5622 for any questions or concerns you may have and speak to one of our experienced technical staff.